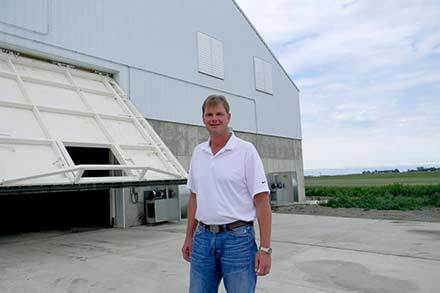 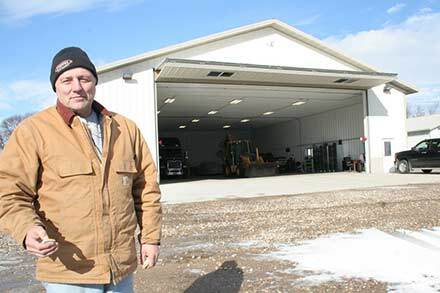 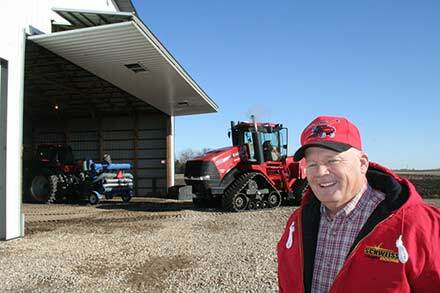 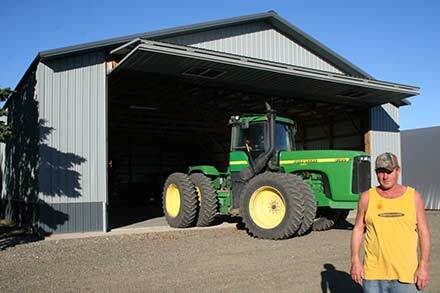 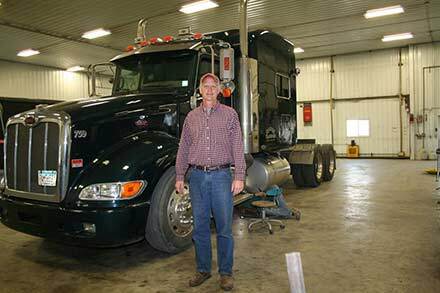 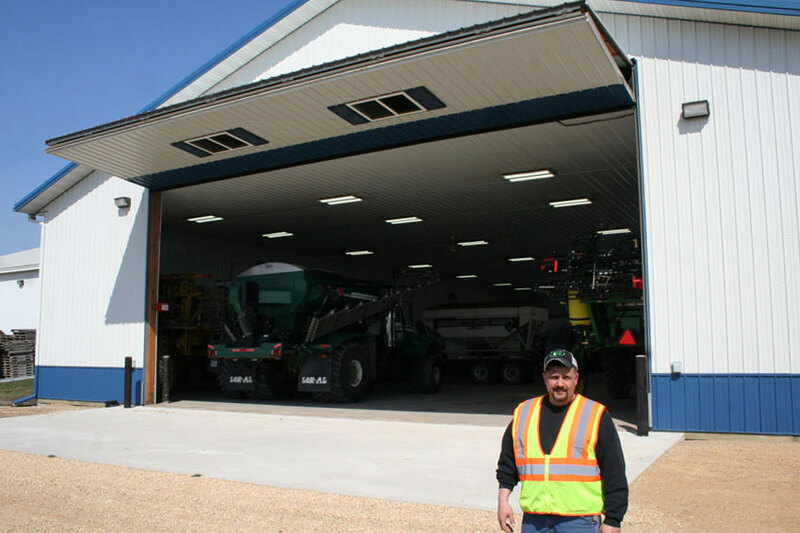 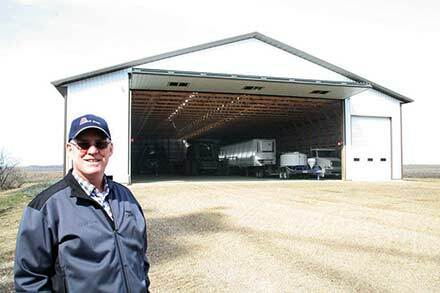 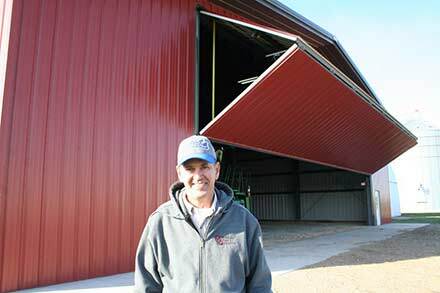 Roger J. Trebbensee, Operations Manager at Brownton Coop Ag Center, stands outside the fully opened Schweiss bifold liftstrap door. 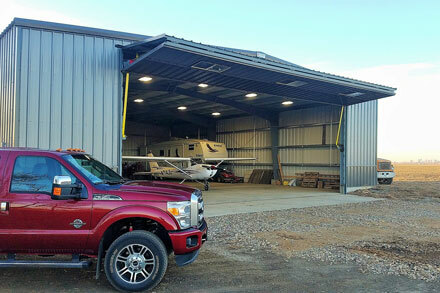 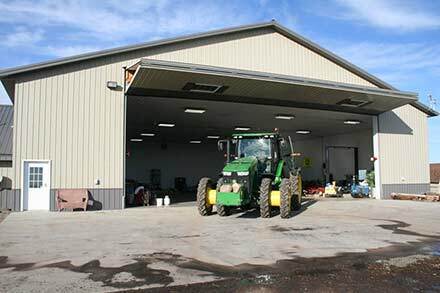 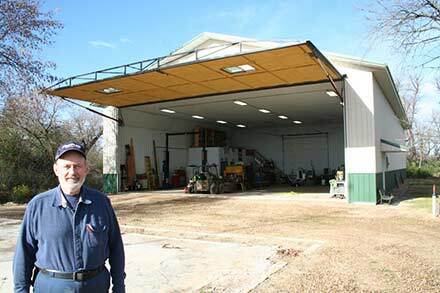 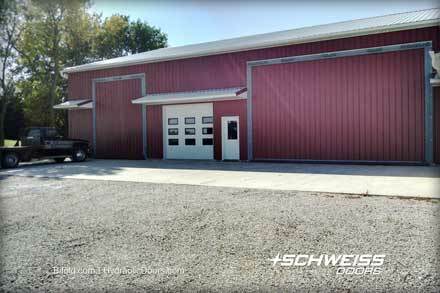 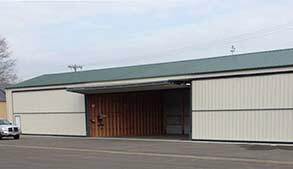 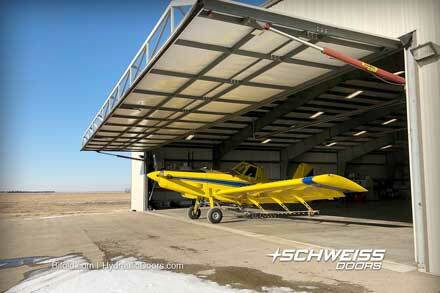 The door is 40' x 18' 6" and is attached to a heated shop and equipment storage building. 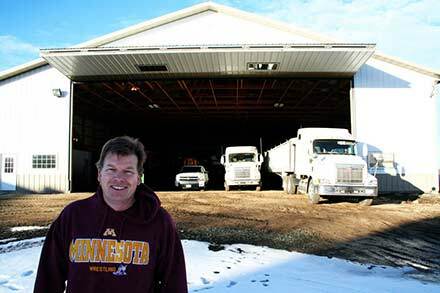 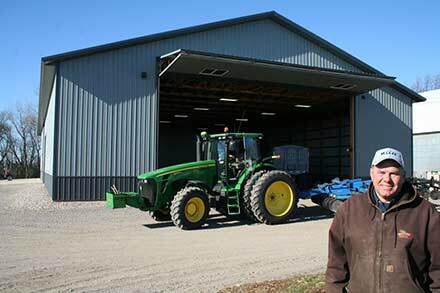 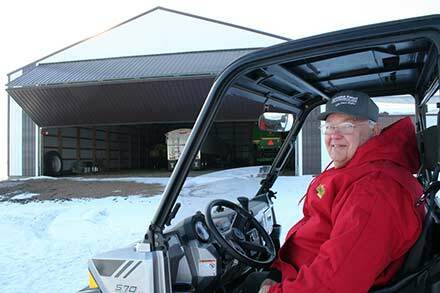 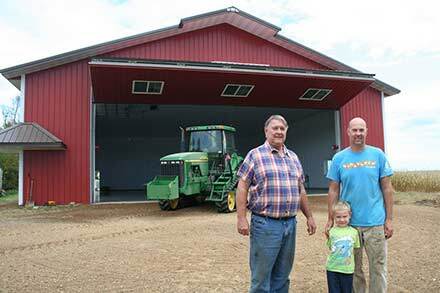 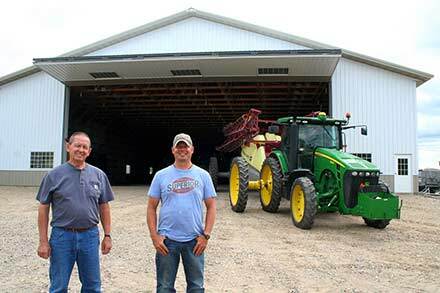 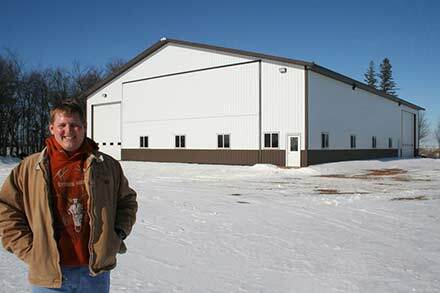 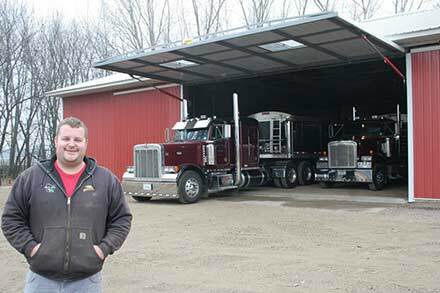 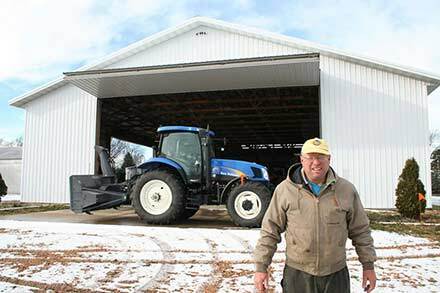 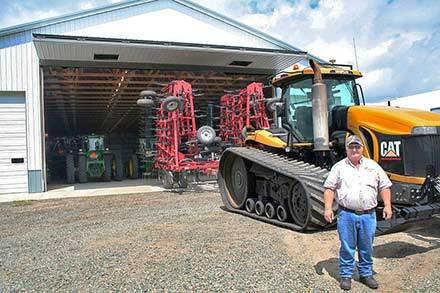 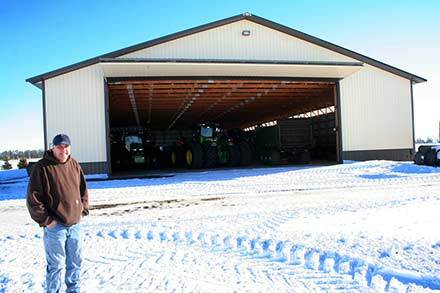 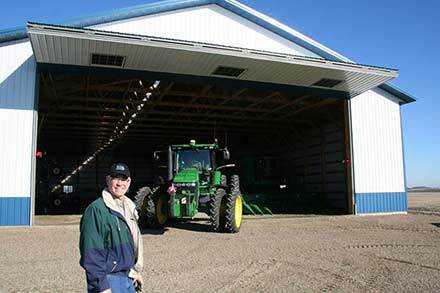 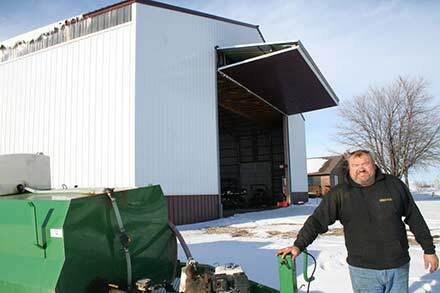 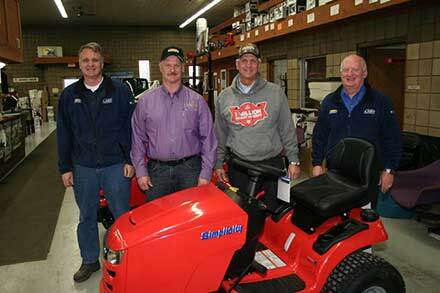 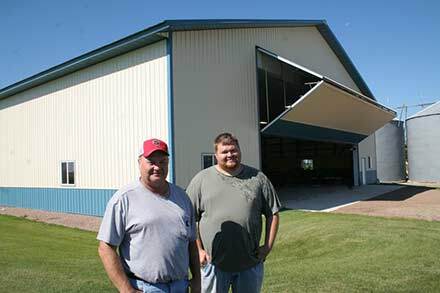 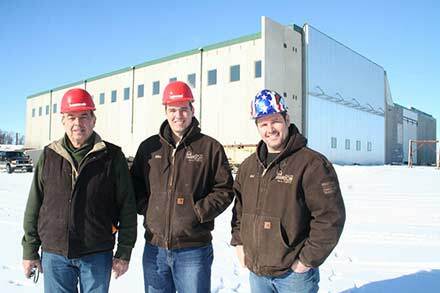 Established in 1916 and incorporated in Minnesota, the Brownton Coop Ag Center(UFC) has been serving farmers needs for many years and now offers employment to a staff of approximately 10 to 19. 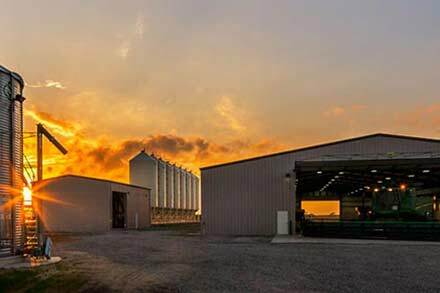 Since its origin, it has shown steady growth and now plans expansion to its storage with a new 78 diameter, 90' tall 300,000-bushel bin. 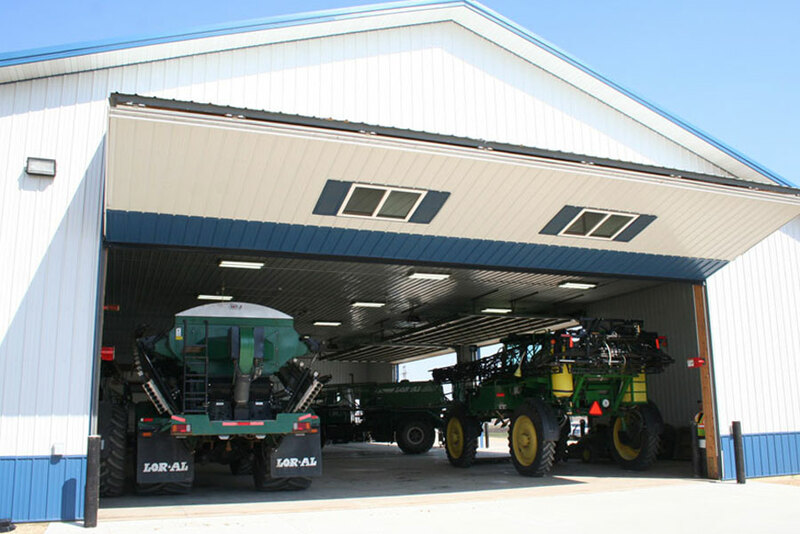 The Brownton Coop Ag Center now offers the following services: Fertilizer, chemical, seed, grain drying, agronomy consultations, crop insurance, crop scouting, spraying, delivery of dry and liquid products, equipment rental, fertilizer spreading, financing (AgQuest), nutrient management plans, planter check ups, precision ag (United Insight), seed treating, soil and tissue sampling. 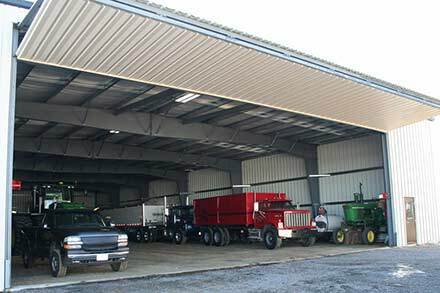 Brownton Coop Ag Center is located at 7735 State Highway 15 just west of Brownton. 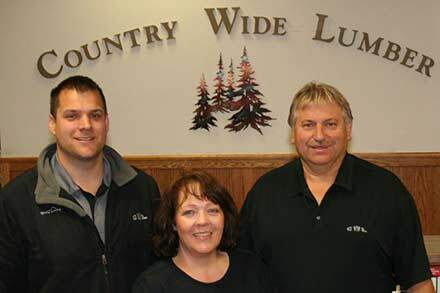 They can be reached by phone at 320-328-5211 or toll-free: 877-328-5211. 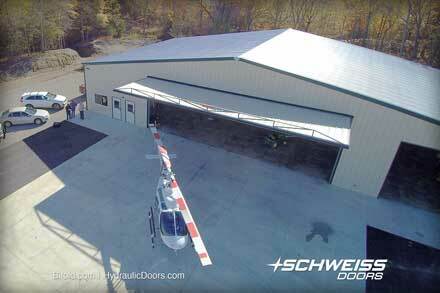 The 40' Schweiss bifold door has two 48" x 36" windows on it to allow natural light inside. 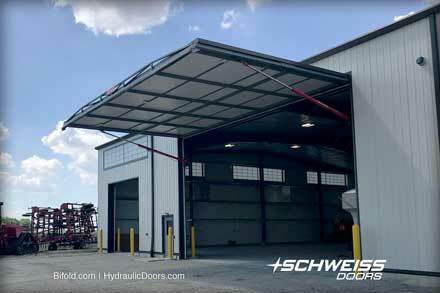 The large 40' door opens quickly and seals well in all types of weather. 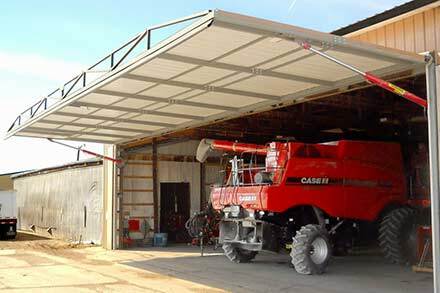 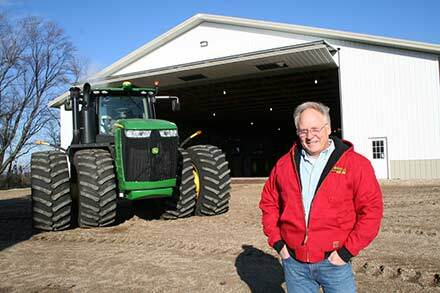 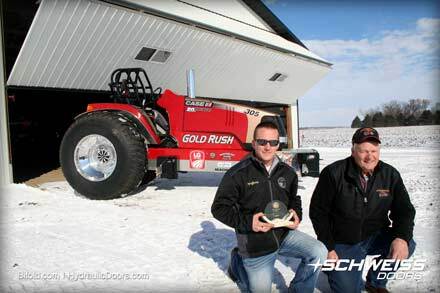 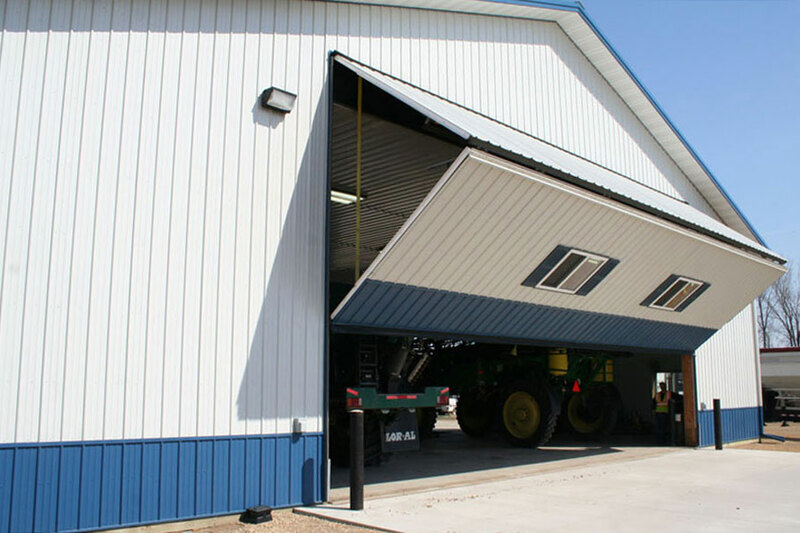 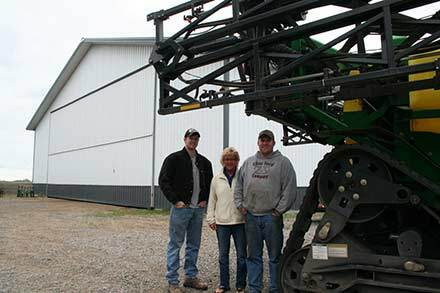 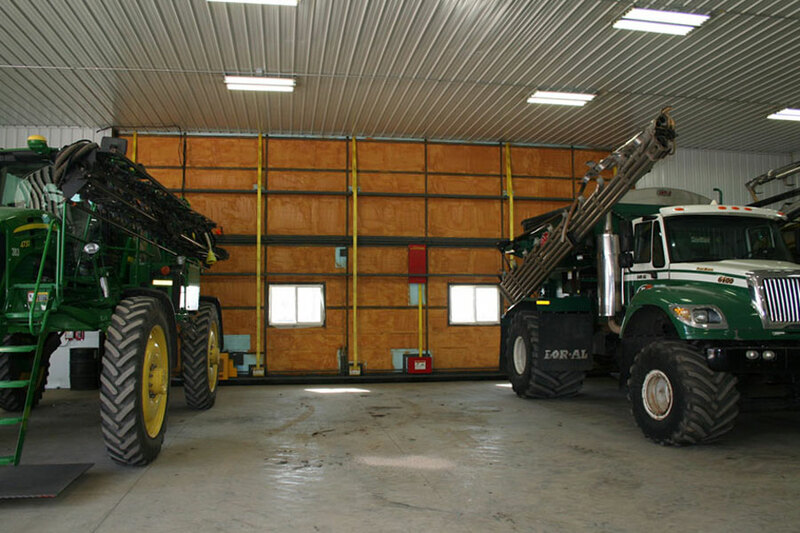 The 18' 6" shop door height gives adequate headroom for the Coops largest field machinery. 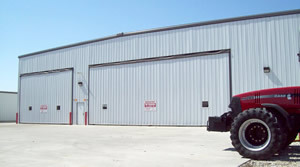 The door has automatic latches and remote openers.